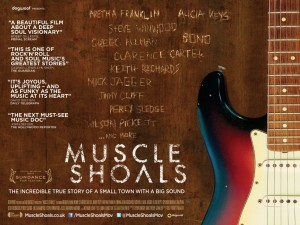 Greg Camalier’s debut film charts what became known as the Muscle Shoals sound picking through the musicians and moguls who conjured a uniquely southern take on R&B from a tiny town clinging to the mudflats of Alabama. Wilson Pickett’s Mustang Sally? The Staple Singers’ I’ll Take You There? Hits from Etta James, Cher, JJ Cale? Session band The Swampers were behind them all, knocking out tracks from Rick Hall’s FAME Studios before setting up on their own. “I’d loved a lot of that music that came from there since I was a kid,” explains the director from his home in New York. He and a buddy had stayed over in the town during a road trip, and were immediately taken in by this place they had first heard name checked in a Lynyrd Skynyrd cut. The film made quite an impression during its festival run, but it’s legacy extended far beyond the cinema back in November. Dr Dre’s headphone company Beats Electronics announced a plan to renovate and revive both The Swamper’s Muscle Shoals Sound Studio and Rick Hall’s FAME Recording Studio in the coming year, together with an educational programme run by Rick’s son Rodney Hall. The soulful sound of the shoals lives on.